Most indoor vine plants grow quickly so you can decorate with them without waiting a year or two. Many of these vines are foliage plants which can be green, variegated or even red or purple. Some vine plants are flowering and require slightly more care than just foliage. Leaves on these plants can vary from very large to tiny depending on species. The level of care for your indoor vine will be dependent on your lighting situation and type of vine plant. Place your vine plant in an east, west or north window to receive at least four hours of indirect bright light. Direct sunlight will burn the leaves. If you do not have a window with enough light, grow lights may be used and work well. Water the soil when it feels dry to 1 to 3 inches down in the soil, depending on the size of the container. More harm will come from overwatering than under-watering. Vine plants will require more water in the spring and summer during the growing season than in the fall and winter, when they normally don’t grow at all. Apply a house plant fertilizer every three months from spring until October. Use a fertilizer made just for foliage plants if your vine plant does not flower. Follow the manufacturer’s recommendations on the amount to apply for the species of plant. Place 1 tsp. of a true liquid soap in a spray bottle, and fill with distilled water. Spray the soap solution on the leaves once a month, and wipe clean. This will keep the plant clean and free of dust, spider mites and scale. Prune back stems that are out of place or to keep to a desired size each fall. If the vine plant is a flowering type, each spring, pinch off flower buds on new plants to allow the plant to use all of the energy to grow a good root system. Cut off any dead or damaged branches and leaves as soon as you notice them. Place a tray filled with pebbles and water under the container to provide humidity to some varieties of flowering vines. Do not allow the bottom of the container to sit in the water, but above it on the pebbles. Not all vines need extra humidity, so check the instructions that came with your particular plant. Re-pot the vine plant when the root system has filled the container it is in. 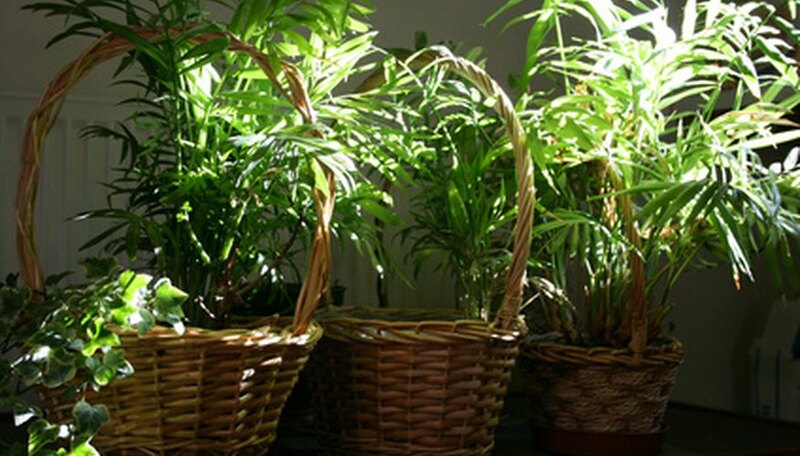 Choose a new container that is two sizes larger and use a commercial houseplant potting soil. This is best done in the very early spring, just as the plant is going to start growing rapidly again.